A little bit creepy but a lot more loving, the Munsters are an iconic television family. 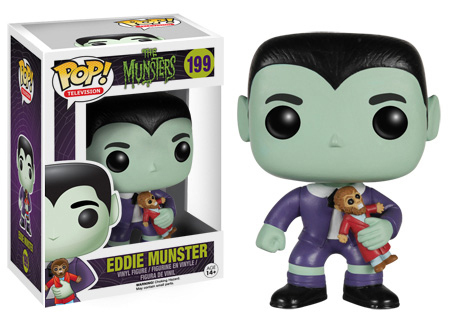 The series has seen plenty of toys and collectible figures over the years but nothing quite like the 2015 Funko Pop Munsters vinyl figures. Featuring four-fifths of the Munsters clan, the lineup puts the Pop stamp on the classic characters. And, yes, they're in color. Herman is depicted as his gentle but imposing self. His joined by his wife, Lily. Grandpa looks ready for some fun while young Eddie is clutching Woof-Woof. 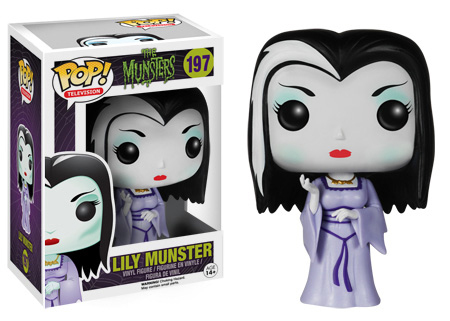 The Funko Pop Munsters figures join the Pop! Television line and stand the line-standard 3 3/4-inches tall. The Munsters lasted 70 episodes over two seasons. They originally aired between 1964 and 1966 but have lived on for decades thanks to reruns and syndication. The MUNSTERS Grandpa #198 VAULTED Retired 1st Edition Mint Funko POP! 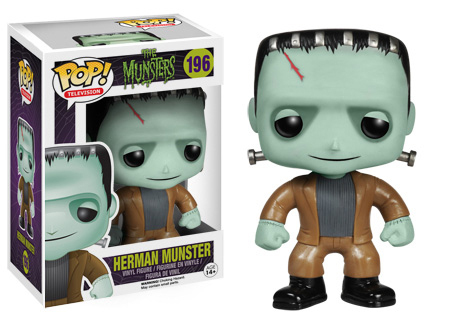 THE MUNSTERS - HERMAN MUNSTER #196 Funko Pop! Vinyl Figure NEW *NEW* RARE Sale! FUNKO POP Herman Munster 196 Munsters monsters vaulted RARE!